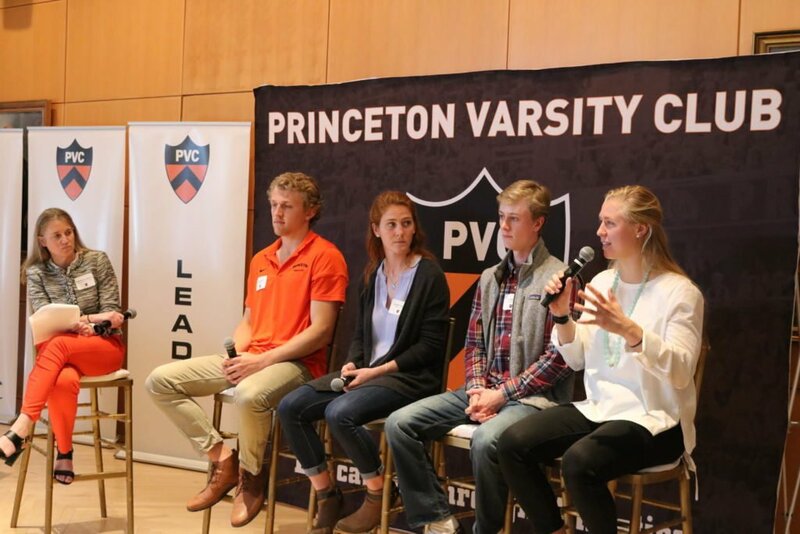 The Princeton Varsity Club hosted its spring edition of the PVC Coaches Luncheon series on Thursday, April 4th on the campus of Princeton University. Thank you to our loyal PVC Members, Corporate Partners and members of the Princeton Athletics “Team Around the Team” that attended the event in support of our Tiger coaches and student-athletes. A complete photo gallery of the event can be viewed by clicking here. Those featured spring programs included women’s lacrosse, women’s open rowing, men’s golf and men’s track & field. 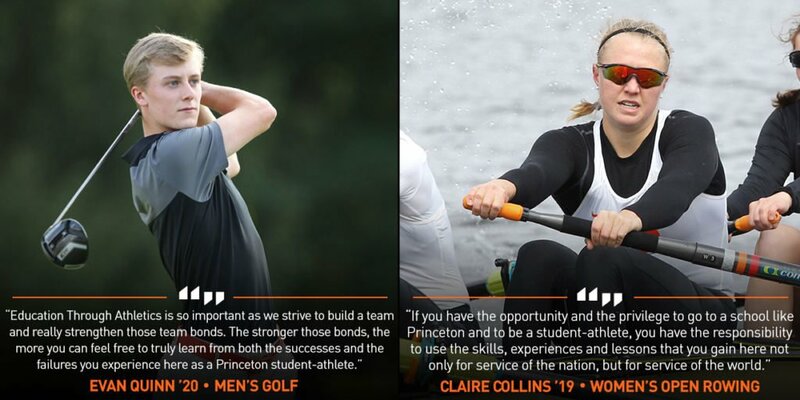 Each featured head coach, including Chris Sailer (women’s lacrosse), Lori Dauphiny (women’s open rowing), Will Green (men’s golf) and Fred Samara (men’s track & field) provided updates on their respective 2019 seasons while speaking to their program’s role in living Princeton Athletic Department’s core missions of Education Through Athletics. These four participating head coaches represented an incredible 115 years of head coaching tenure at Princeton, and 75 total Ivy League championships. Following formal remarks from our featured coaches, our four participating student-athletes (noted below) engaged in a panel conversation, moderated by Ford Family Director of Athletics, Mollie Marcoux Samaan ’91. 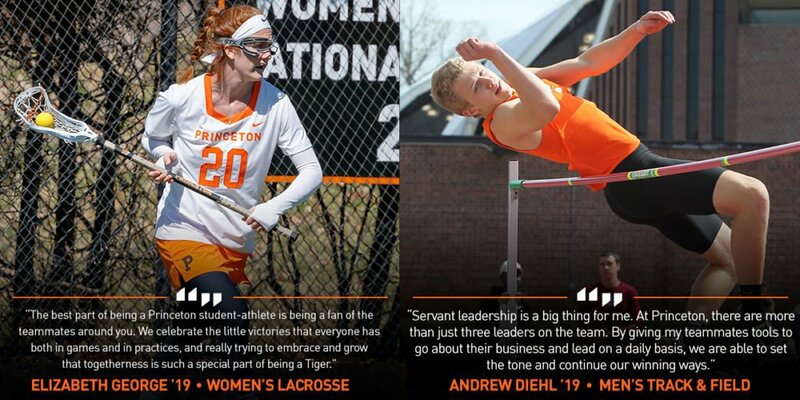 Our student-athletes provided a behind-the-scenes perspective into their Princeton student-athlete experience and shared examples of how Princeton Athletics has afforded them opportunities to Achieve, Serve and Lead through athletic competition, in the classroom and beyond. 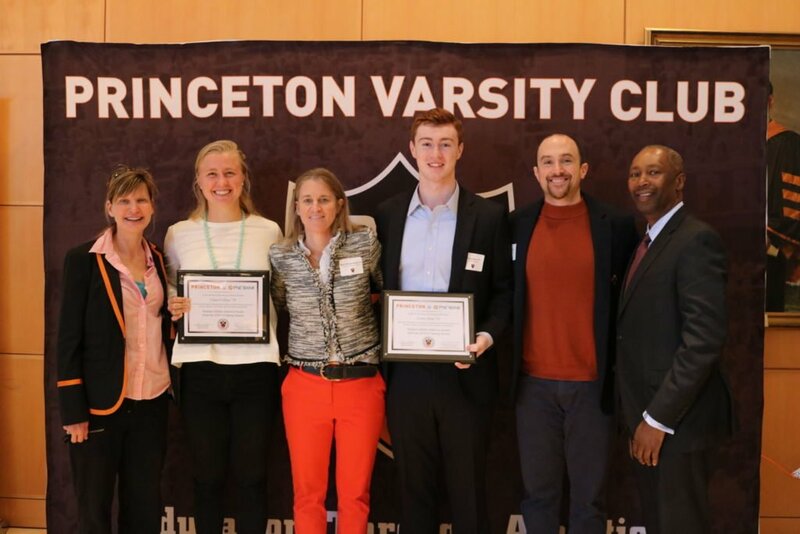 The luncheon also recognized Claire Collins ’19 (women’s open rowing) and Corry Short ’19 (men’s volleyball) as recipients of the PNC Bank Student-Athlete Achiever Award for the spring season. This awards recognizes achievement across academics, athletics and community service. Pictured from left to right are Lori Dauphiny (head coach, women’s open rowing), Claire Collins ’19, Mollie Marcoux Samaan ’91 (Ford Family Director of Athletics), Corry Short ’19, Sam Shweisky (head coach, men’s volleyball) and Arnold Alston (Senior Vice President, PNC Public Finance). The PVC Coaches Luncheon series will return in the Fall of 2019. Thank you again to those who came out in support of our Tiger student-athletes and varsity programs throughout the 2018-19 academic year.